Uload, a Digital Eload Vending Machine, is a kiosk designed to be a unmanned and operational at 24/7. It uses the latest GPRS technology to ensure fast and efficient Eload to its end users. With a 7″ LCD touch screen, this e-loading machine has a small footprint and accepts both coins and paper bills. 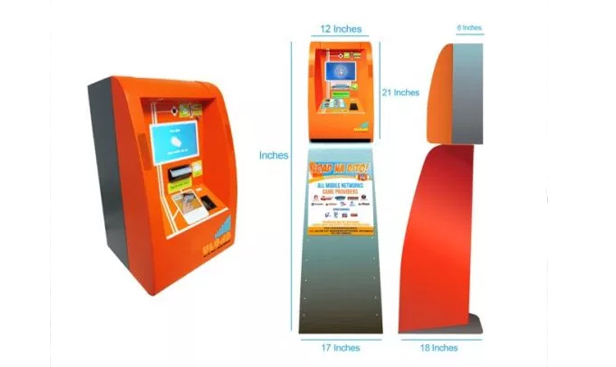 Mindmap Commtech Inc., the exclusive distributor for ULOAD vending machine, is a local joint venture with FORTH Corp. Public Company Limited (Thailand) . Forth Corp. was established in 1989 under the name of “Genius Communication System Company Limited” , has a registered capital of over 1 Million Baht. The company has extensive research in development and the manufacture of Private Branch Exchange (PBX) under the trademark of FORTH. In 2005, the company became public and was registered under the name of “Forth Corporation Public Company Limited” (FORTH). An advance of P10,000.00 inventory load (for the 6 Telcos). For entrepreneurs who think of a long term yield, this wholesale investment allows you to earn more than you would from a regular franchise. With the option to put up units for yourself or self franchise, these options allow you to expand your networks, increase your revenue and explore bigger possibilities.